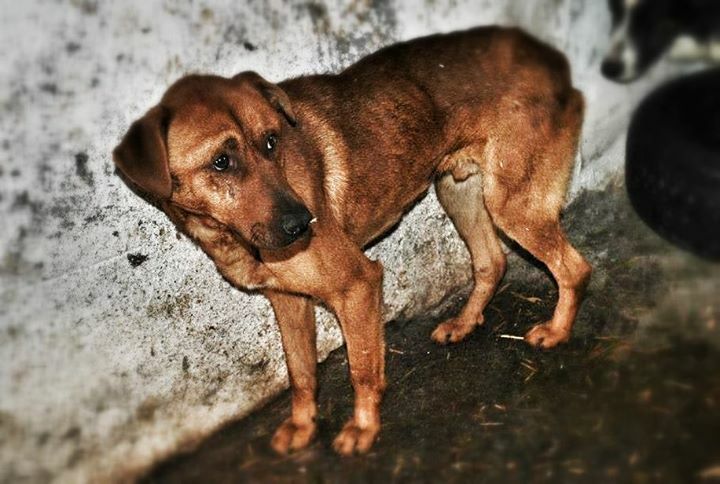 Romania's huge problems with stray animals, dates back to the 1980s, when the communist dictator Nicolae Ceausescu ordered the demolition of thousands of houses and their replacement with apartment blocks as part of an urbanisation plan. Amid the upheaval, many were forced to move to smaller apartments and abandon their dogs, cats and other animals. In 1948, the state began to nationalize private firms, and to collectivize agriculture the following year. From 1947 to the early 1960s, the Communist government established a terror regime, carried out mainly through the Securitate (the Romanian secret police). During this period they launched several campaigns of purges in which numerous "enemies of the state" and "parasite elements" of the society were imprisoned for political or economic reasons, tortured and eventually killed. Punishments included deportation, internal exile and internment in forced labour camps and prisons, sometimes for life; dissent was vigorously suppressed by the regime.Nevertheless, Romanian armed opposition to communist state terror was one of the most long-lasting in the Eastern Bloc. In 1965, Nicolae Ceaușescu came to power and started applying an independent foreign policy by being the only Warsaw Pact country to condemn the Soviet-led 1968 invasion of Czechoslovakia, by maintaining diplomatic relations with Israel after the 1967 Six-Day War and by establishing diplomatic relations with West Germany the same year (after economic links have been established already in 1963). At the same time, close ties with the Arab countries (and the PLO) allowed Romania to play a key role in the Israel–Egypt and Israel–PLO peace talks. 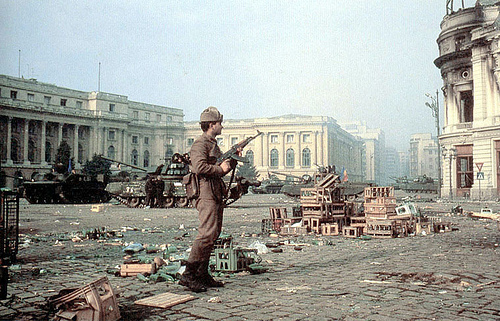 As Romania's foreign debt sharply increased between 1977 and 1981 (from US$3 to 10 billion), the influence of international financial organisations (such as the IMF and the World Bank) developed gradually conflicting with Nicolae Ceaușescu's autocratic rule. The latter eventually initiated a policy of total reimbursement of the foreign debt by imposing austerity steps that impoverished the Romanians and exhausted the Romanian economy. At the same time he also greatly extended the authority of the police state, and imposed a severe cult of personality. All these led to a dramatic decrease in Ceaușescu's popularity and culminated in his overthrow and eventual execution in the violent Romanian Revolution of 1989; but by that time Romania's foreign debt was almost completely paid off. A 2006 Presidential Commission for the Study of the Communist Dictatorship in Romania estimated the number of direct victims of the communist repression at two million people. This number does not include civilians who died in liberty as a result of their "treatment" and malnutrition in communist prisons, nor does it include those people who died because of the dire economic circumstances in which the country found itself. Those numbers remain unknown but could reach a few million. In 1966, the regime of Nicolae Ceauşescu decreed a ban on all forms of contraception and abortion with the aim of increasing Romania's population. Ceaucescu issued Decree 770, a program covering all fertile women unless they were over forty or were already taking care of four children. At the age of three years the children were medically examined. Disabled and orphaned children were in huge numbers brought into homes like Cighid or psychiatric hospitals, where they lived under inhumane conditions. Many children died within a few weeks because of hunger, frostbite or diseases. By 1969, the country had a million babies more than the previous average. Thousands of kindergartens were built overnight. Children had to participate in sports and cultural activities. Many deaths were caused by the mere fact that women, including wives of secret Romanian agents, famous TV presenters and actresses, had to undergo illegal abortions. Many women were jailed for having them. Many children born during this period, was not planned and therefore unwanted by the parents. The children's home Cighid, near the Hungarian border, was discovered in spring 1990 by western reporters. 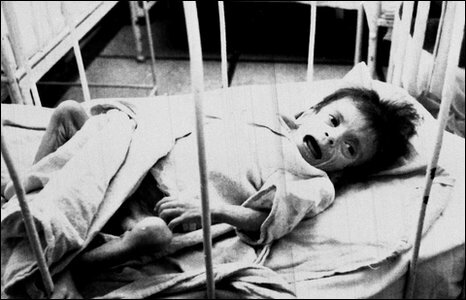 The pictures of sick and malnourished children were published in many newspapers and were shown on many TV stations around the world. 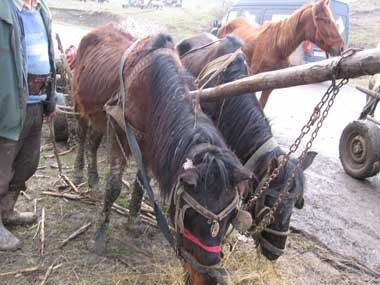 Observers described the sight of Cighid with terms like "Child Gulags" or "the Romanian Euthanasia Program". Cighid - is probably the most infamous children's home in Romania. 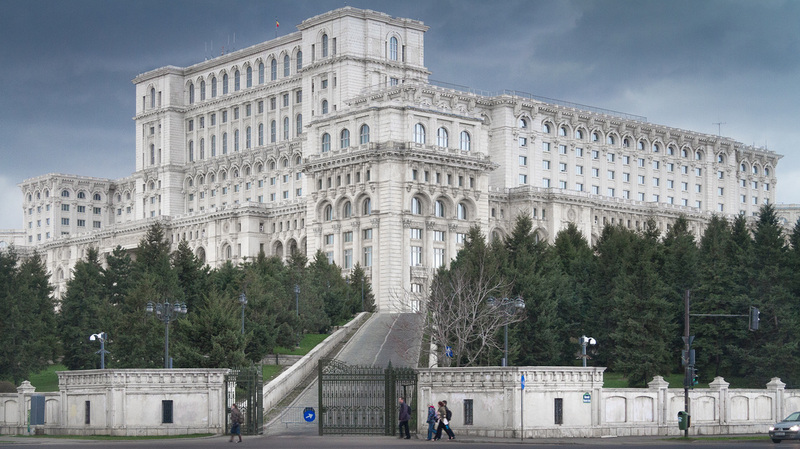 It won notoriety in March 1990 shortly after the fall of the Ceauşescu-regime. Charities from Western Europe contributed massively to an aid programme which saw Cighid improved. Many of the children being held at Cighid were adopted by Western European families. The unemployment rate in Romania has been relatively low in recent years and stands at around 5% in 2011. In the late 2000s, nearly 10 percent of the population were in absolute poverty and of these, 90% live in rural areas. A set of reforming programs has been started in 1999 introducing private health insurance. The pension system was also reformed. The state-run health care system is costly, but suffers from neglect and has deteriorated in recent years because of lack of funding and underpaid staff. In many cases, the patients are bribing the clinic or hospital staff to get better treatment. There is evidence to suggest that a patient's wealth plays an important role in how they receive medical treatment. By the first quarter of 2011, the average monthly household income is 2,318 lei (equivalent to approximately $862). The difference between countryside and urban area may vary; the income is 36 per-cent higher in the urban areas than in the countryside. 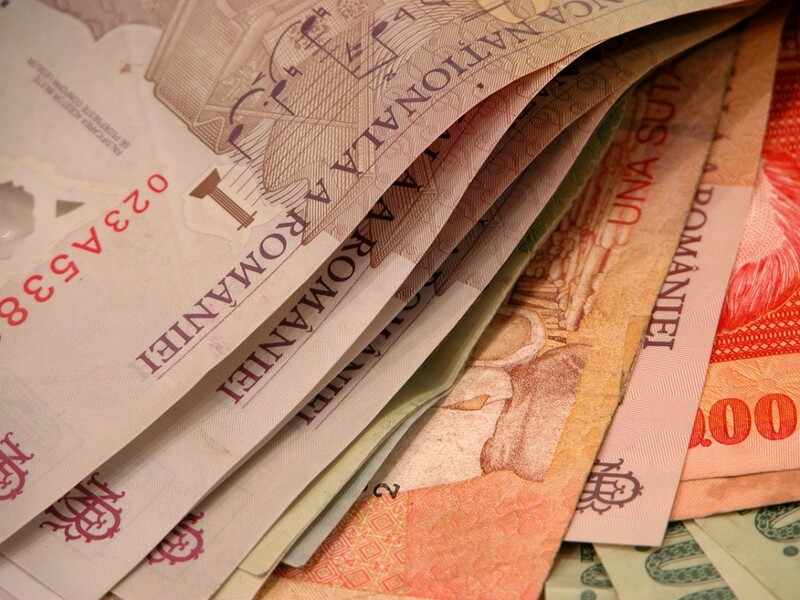 In 2010, the average monthly pension in Romania was 734 lei, or €170. The current average retirement age (55 years for women and 57 years for men) will be gradually increased until 2014 to 60 years for women and 65 years for men. Many of the Romani in Romania have no identity cards and are therefore excluded from the social benefit systems, schools and health care. Source: Three days and two nights with Roma immigrants in London. 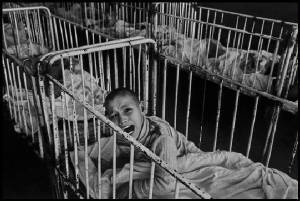 The Lost Children - Everyone remembers the shocking pictures of Romanian orphans, tied to their cots in squalid institutions. Decades on, many children are still being held in old-style institutions. Also visit the page - So what happened to those children? With a GDP of around $274 billion in 2012 and a GDP per capita (PPP) of $12,800 for the year 2012, Romania is an upper-middle income country economy and has been part of the European Union since 1 January 2007. After the communist regime was overthrown in late 1989, the country experienced a decade of economic instability and decline, led in part by an obsolete industrial base and a lack of structural reform. From 2000 onwards, however, the Romanian economy was transformed into one of relative macroeconomic stability, characterised by high growth, low unemployment and declining inflation. In 2006, according to the Romanian Statistics Office, GDP growth in real terms was recorded at 7.7%, one of the highest rates in Europe. Growth dampened to 6.1% in 2007, but was expected to exceed 8% in 2008 because of a high production forecast in agriculture (30–50% higher than in 2007). The GDP grew by 8.9% in the first nine months of 2008, but growth fell to 2.9% in the fourth quarter and stood at 7.1% for the whole 2008 because of the financial crisis. Thereafter, the country fell into a recession in 2009 and 2010, where the GDP contracted −7.1% and −1.3% respectively. However, the GDP grew again by 2.2% in 2011 and 0.7% in 2012. 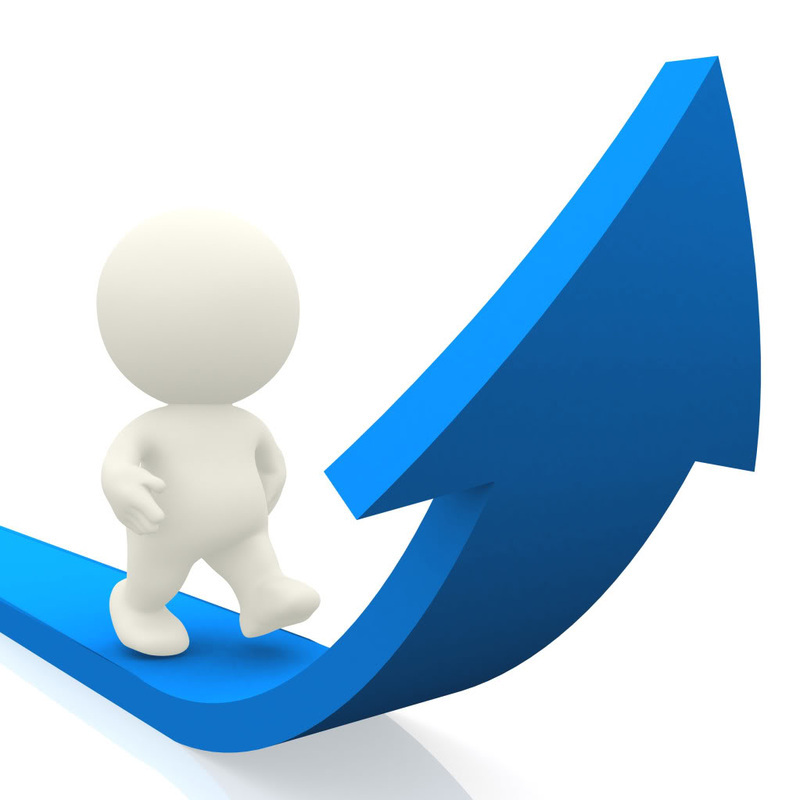 It is estimated the GDP will continue to grow by 1.6% in 2013 and 2.2% in 2014. According to Eurostat data, the Romanian PPS GDP per capita stood at 46% of the EU average in 2010.In March 2013, the net average monthly wage in the country was €387 - one of the lowest in the EU. Inflation in 2010 was 6.1%.Unemployment in Romania was at 7% in 2011 which is very low compared to other middle-sized or large European countries such as Poland, France and Spain. General government gross debt is also comparatively low, at 37.8% of GDP, and the government budget deficit is at -2.7%. Industrial output growth reached 6.5% year-on-year in February 2013, the highest in the EU-27. Exports have increased substantially in the past few years, with a 13% annual rise in exports in 2010. Romania's main exports are cars, software, clothing and textiles, industrial machinery, electrical and electronic equipment, metallurgic products, raw materials, military equipment, pharmaceuticals, fine chemicals, and agricultural products (fruits, vegetables, and flowers). Trade is mostly centred on the member states of the European Union, with Germany and Italy being the country's single largest trading partners. The current account balance in 2012 is estimated to have held a deficit of $6.474 billion and -4.52% of the GDP. After a series of privatisations and reforms in the late 1990s and 2000s (decade), government intervention in the Romanian economy is somewhat lower than in other European economies. In 2005, the government replaced Romania's progressive tax system with a flat tax of 16% for both personal income and corporate profit, resulting in the country having one of the lowest fiscal burdens in the European Union, a factor which has contributed to the growth of the private sector. The economy is predominantly based on services, which account for 51.2% of GDP, even though industry and agriculture also have significant contributions, making up 36% and 12.8% of GDP, respectively. Additionally, 29.6% of the Romanian population was employed in 2006 in agriculture and primary production, one of the highest rates in Europe. 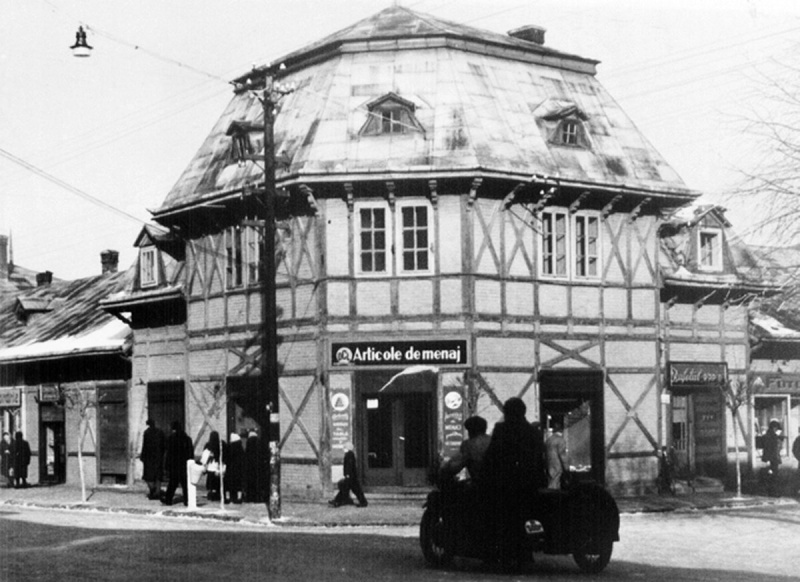 Before World War II, approximately eighty percent of the Romanian population was engaged in agriculture. Much of the peasants capital and livestock were destroyed during the war and when the war was over, followed two years of severe drought. The famine was great and thousands of people died of starvation. As a consequence of the limited availability of rural livelihoods, began growing number of working-age men to abandon agriculture and move to urban areas to find work in the industry. As there was no housing in relation to the ever-flowing labor force, the state already in the fifties taking various policy measures to try to limit urban migration. 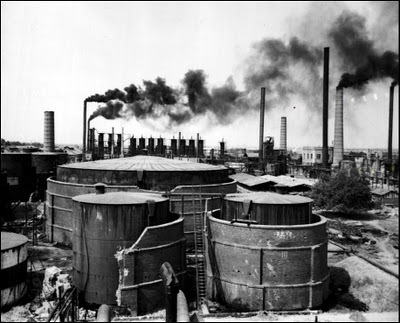 Industrialization, however, had taken off, and people were busy and got better living standards. Romania's economy was on a strong growth, and during the 70's doubled rural depopulation to the cities, compared with the previous two decades - despite government attempts to limit the urbanization. The housing crisis was high on the state's list of priorities and many houses, farms and other buildings were demolished and instead focussed on building large residential complex with apartments. Despite these measures, the State did not manage to build homes at the same rate as the need grew. In the late 1970s an economic crisis broke out as a result of the country's foreign debt would be repaid. A severe tightening of social expenditure was necessary and the money previously allocated annually for residential construction was reduced drastically. 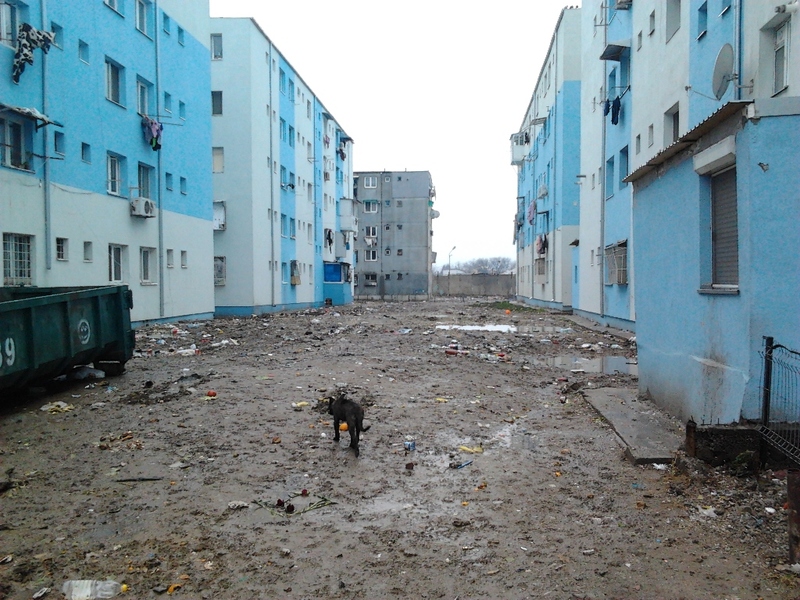 Families had to crowd together in apartments often held both low quality and standards and cuts in social spending plunged at last Romanian population in a situation similar to that which the country had experienced during the 40th century. 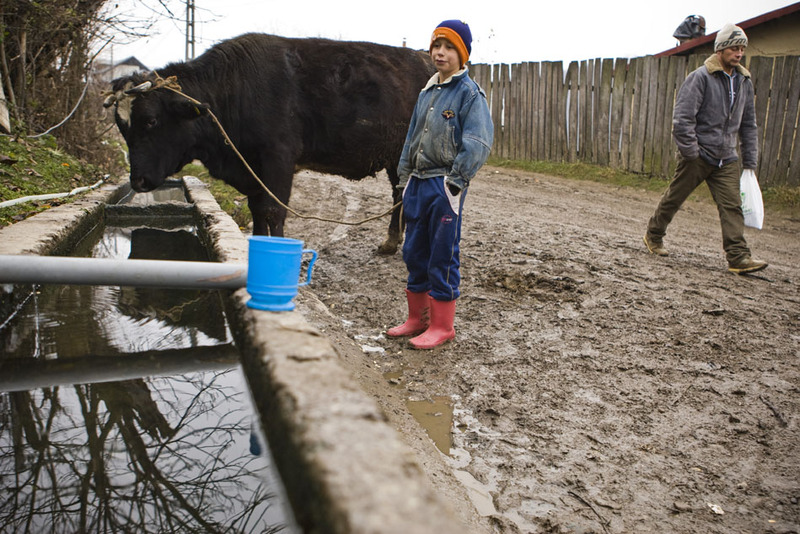 In 1980, only a third of the Romanian population was engaged in agriculture and the average Romanian living in a Apartment size of ten square meters. More than half a million workers living in hostels, some for many years, even as married with children. Many Romanians describes the eighties as "the only thing we did was work and queue - we could stand in line for hours to buy the products that were available just for that day. You could go out to buy milk and bread, but come home with yogurt and canned pineapple"
As a result of such a large proportion of the Romanian population in a relatively short period of time had to abandon their small-scale agriculture and livestock in rural areas for the benefit of employment in the cities where the animals were not welcome, relegated these animals to a roving life in the villages and on the streets. The animals began at a fast pace to reproduce, especially dogs and cats, without any human control or intervention. It was only in the eighties that the ever increasing stray dog ​​population began to evolve into a real social problem and the mayor of Bucharest therefore took the initiative that the dogs would be captured and killed. Several other municipalities around the country followed the example of Bucharest and a mass slaughter of Romanian stray dogs began. “The strays”, that’s a way of calling the cats and dogs that are living as homeless in the street of Romania. But the animals had once owners – all of them; once when Romania was a normal country with pretty normal people, a preponderant agricultural country with villages and wide fields, with peasants and small home-farms. We had once such a country. Romania is still vanished by the previous communist regime, installed after the forced abdication of king Michael of Romania in 1947, The state took everything from the poor peasants that became just slaves on what they used to call “their land” or, if they didn’t want to give up their lands, they were thrown in prison for many-many years. This forced most of them to leave their houses and move to town where obviously they couldn’t take animals of any kind; cows, sheep, hens, horses – they were all now belonging to the state; cats and dogs were left in the street -.this was the beginning of the nightmare…. Later on, after Ceausescu became president of Romania, in the late 1960s, immediately after he made a visit to north Korea, he came back determined to build here what he saw there and the nightmare continued, this time even more aggressive: thousands of houses were demolished in all Romanian towns and especially in Bucharest, to make room for huge horrendous cold “blocks of flats” – ugly giants of concrete. 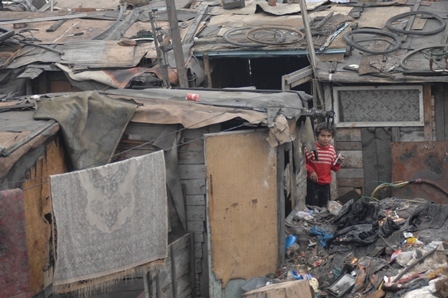 A normal 4 members family that until the demolition was living in a normal sized villa was now forced to live in a 2 rooms apartment; kids, parents, grandparents, all together, NO place for their pets. The nightmare continued with thousands of yard dogs and cats left outside the ruins … impossible to take these unfortunate souls with them. The Romanians were never very compassionate for their animals; the animal was never a part of their family but just good for guarding the house and catching rats. So why should they bother to take care for the dog or cat? “They will be ok outside” … and the Romanians keep lying to themselves even now, in these days they say - “the dogs and cats are ok in their own environment” … but the street is not “their environment”! Well, time passed by, and until 1989, the dog-catchers were doing their job and the situation was calm and quiet. After the change of the regime, in the 1990, the situation went out of control and Bucharest’s mayor Viorel Lis was convinced by Brigitte Bardot, who visited Romania, to let the street dogs alive. 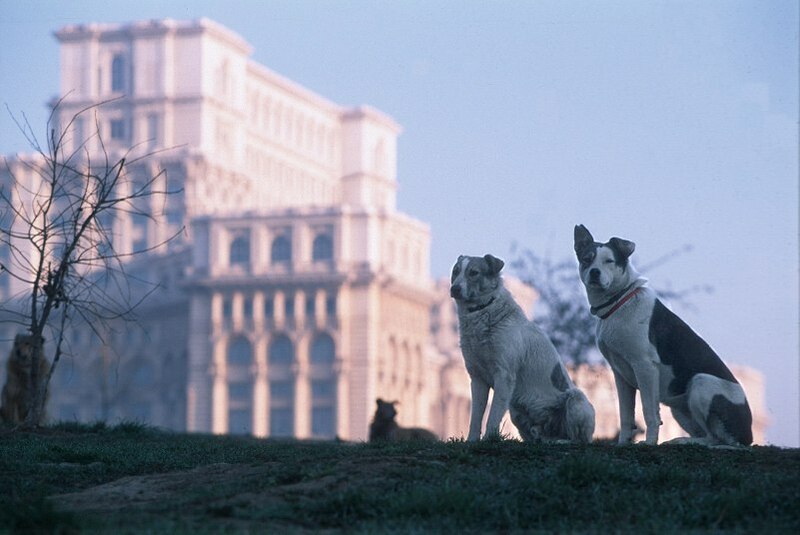 About 10,000 street dogs were trapped, spayed/neutered and released during the late 1990s in Bucharest. Immune to Brigitte Bardot’s arguments, the next mayor and the actual president of Romania, Traian Basescu, ordered to kill about 100,000 dogs during his mandate, saying that he couldn’t reach an agreement with the NGOs involved; which partially, was true but anyway, doesn’t justify such measures. Most of the dogs were killed on the same day they were caught and not as it was agreed, by euthanasia, but beaten, tortured, shot or poisoned by the people who were working for the city hall’s dog shelters. 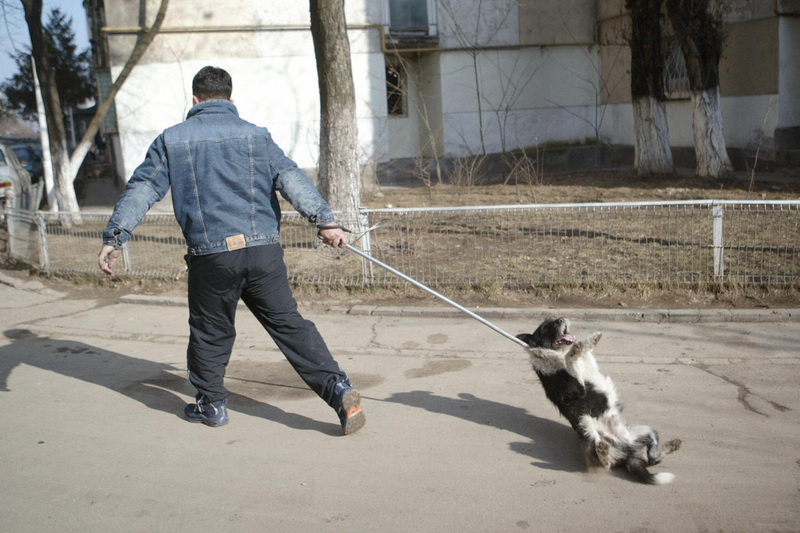 During this extermination campaign at least 100,000 stray dogs were killed only in Bucharest. In 2003 the killing stopped for 6 months due to the reorganization of the administration for animal control/supervision (ASA). In the summer of 2004 ASA resumed the activity, and in the next 4 years the number of dogs caught yearly was about 13,000 -15,000 while the number of adoptions was 1,000- 2,000 dogs yearly; all the others were killed. And this kind of solving “the stray’s problem” continued until today. Even if from 2008 a law that prohibits the killing of unwanted animals is in force and according to this law any act of mistreating, torturing, hurting, starving, abandoning or killing an animals is considered to be a crime and punished as a crime, nobody seems to be willing to apply the provision of this law. Police, DA’s office, Court – nobody apply the law and nobody gets convicted. Yet, thousands of animals are daily killed with poison, hit by cars, beaten, tortured, starved to death or not saved by imminent accidents (drowned, fallen into fosses and so on). People don’t care, don’t have time to care, and are not educated to care. It seems it’s easier to harm than to care. Video about the situation in Romania until September 24, 2013 - in Sept 25, decided Romania's Constitutional Court, to kill all homeless dogs in Romania. What is going to happen in the country now, we dare not even think of - Romania has, today 2013, about two million (2.000.000) abandoned and homeless dogs.